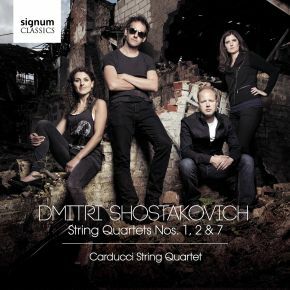 This disc contrasts Shostakovich’s first two string quartets with the seventh – composed in memory of his late wife Nina. In composing his quartets prior to No. 7, Shostakovich had scrupulously followed a predetermined sequence of keys: according to this, the work should have been in E flat major. However Shostakovich, significantly, chose to break this pattern by writing his new quartet in F sharp minor, the key associated with such anguished music as Peter’s remorse in Bach’s St John Passion, and – particularly close to Shostakovich’s heart – Mahler’s unfinished Tenth Symphony. 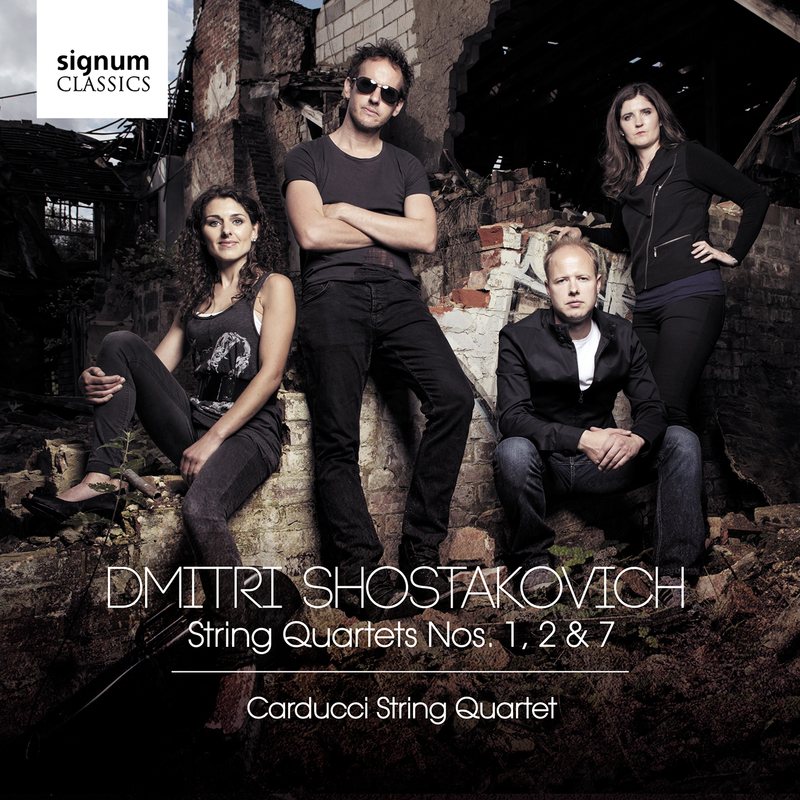 This CD marks the second release of the Carducci’s Shostakovich 15 project, which includes performances of the complete cycles of the Shostakovich Quartets in cities including Washington DC, London, Oxford, Cardiff, Bogota and concerts throughout the UK to mark the 40th anniversary of the composer’s death.